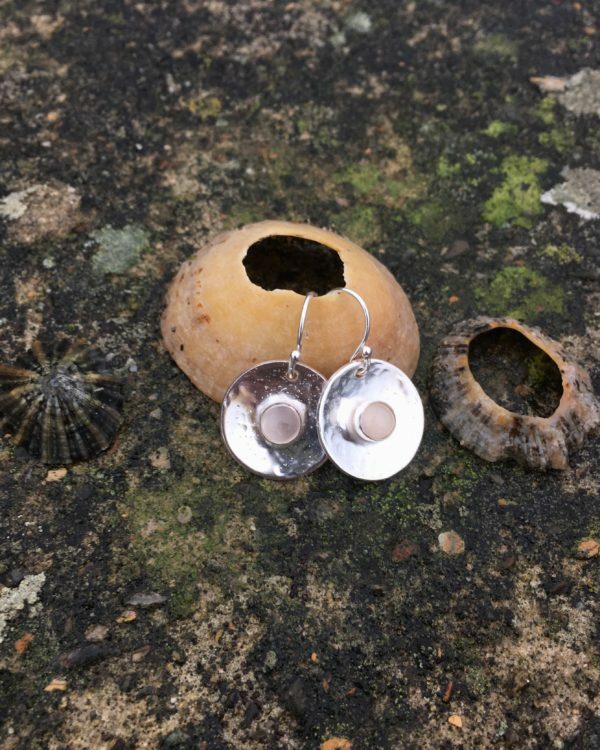 Product code: 00004 Categories: The Beach, Earrings. 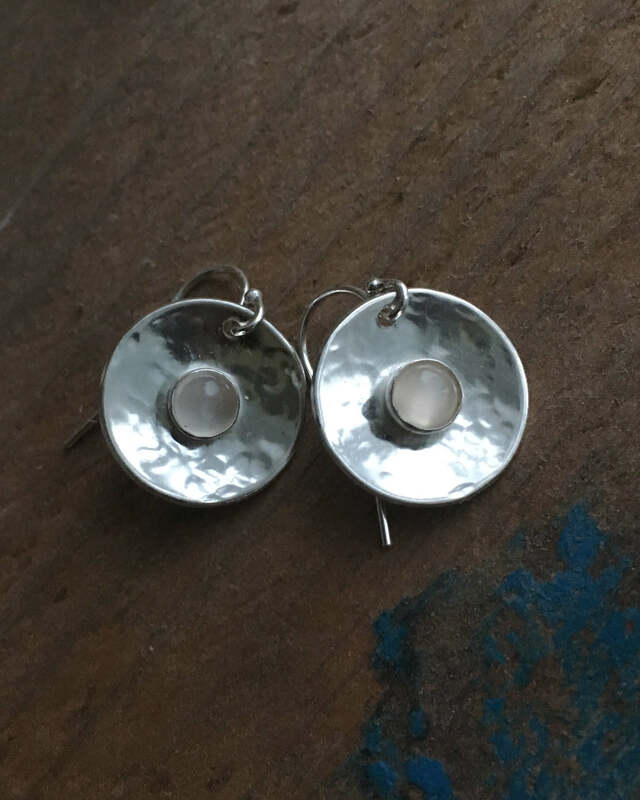 The moon on the water earrings are hand made from recycled silver. The earrings are approximately 14mm in diameter and are slightly concave. 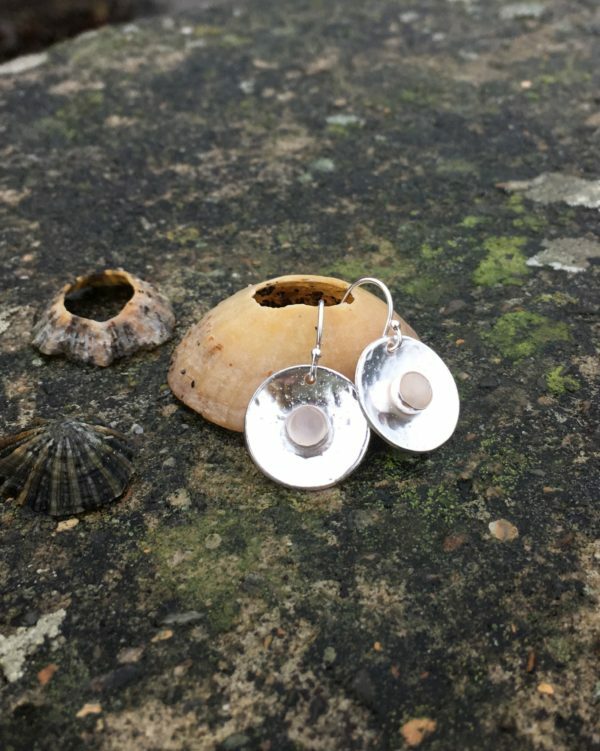 They are hammered to represent the sea and feature beautiful 5 mm white moonstone cabochons. They are suspended from sterling silver wires. Your earrings will be made to order so please allow three weeks for delivery. Your earrings will be delivered in your choice of a cotton drawstring bag or a recycled box.